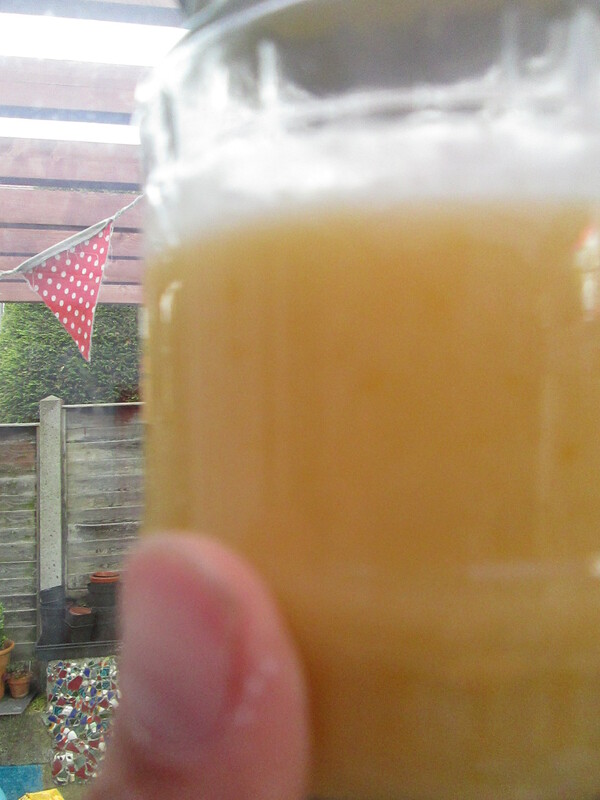 There’s just something so comforting about lemoncurd. Creamy yet sharp it cheers up even the most basic toasted cheap bread. I have quite clear early- childhood memories of my mum whipping up a batch at weekends for Sunday teas in the winter. Lemon curd on crumpets in front of the Muppets. Bliss. I’ve always thought it might be a bit hard. Because of the egg curdling possibilities but with the aid of my beautiful shiny new double boiler my dad bought me it is easy. Even easy peasy. 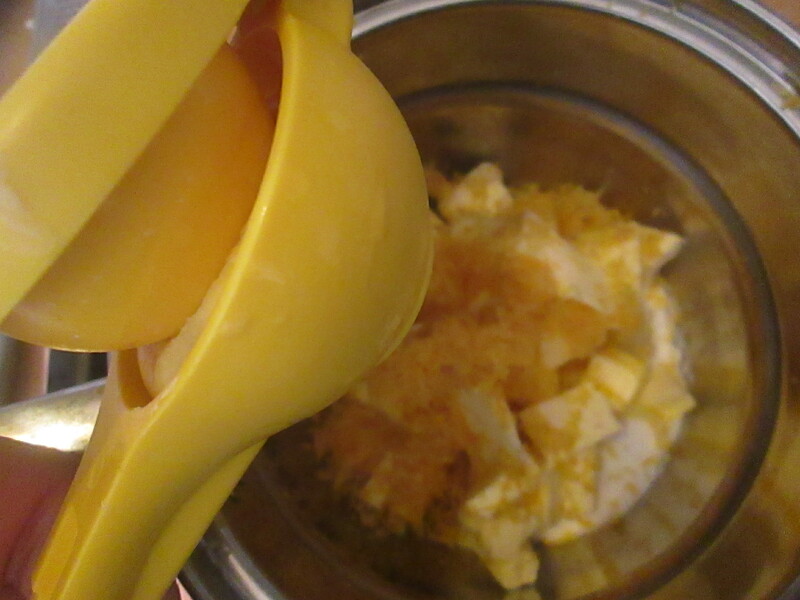 Put lemon juice, zest, sugar and butter into a double boiler and stir with a whisk from time to time until the butter has melted. Stir the eggs together with a fork and add to the pan cautiously. 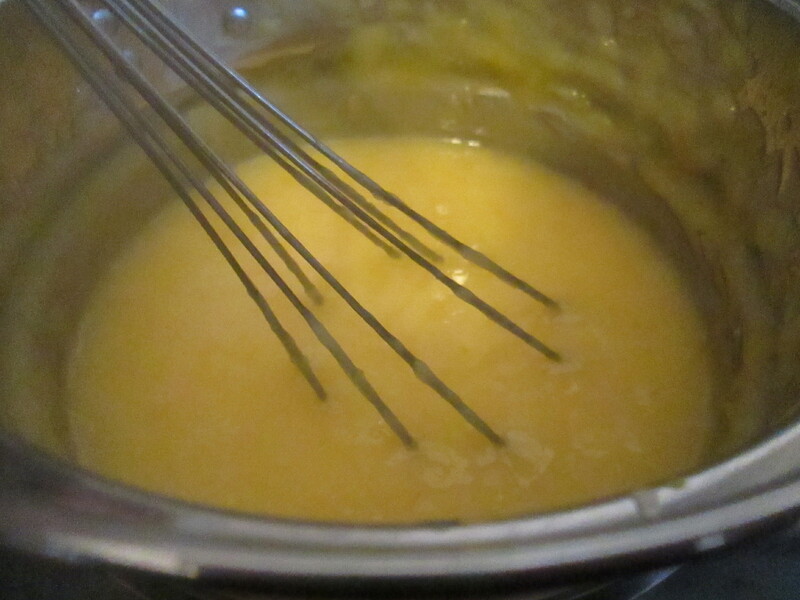 Whisk regularly over medium heat for about ten minutes until the mixture is thick and custardy. Remove from the heat and whisk a little every now and again as it cools. Spoon while still warm into sterilized jars. It tastes amazing on anything toasted. Also stirred into whipped cream and sprinkled with crushed meringue (perfect to use up those extra whites) for a citrusy Eton mess. Or if you mix that up then freeze for a parfait. We like it a lot in little pastry cases as lemon curd tarts. Or as a filling in a split lemon cake with mascarpone instead of cream. The very, very best way is on a teaspoon straight from the jar, hidden behind the fridge door at fraught moments. 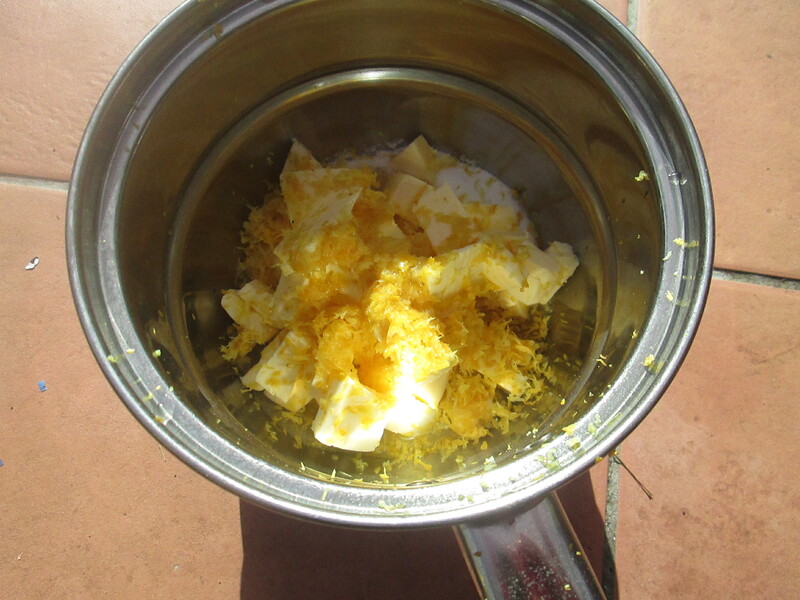 This entry was posted in recipes and tagged Beautiful Things, cooking, easy lemoncurd, happiness, lemoncurd, recipe. Bookmark the permalink.